In the first article in this series, Understanding and Managing Seasonal Affective Disorder, we talked about What is Seasonal Affective Disorder, the Symptoms of SAD, and the main treatment options for this condition. In addition to treatment options recommended by doctors, there are also a few natural treatments for seasonal affective disorder that have proven to be very effective at reducing the intensity of the symptoms and in some cases even preventing them altogether. First of all, light therapy is often considered a natural remedy and something you can do without involving doctors, though you should still let your practitioner know if you are suffering from severe depression symptoms from SAD. Here are a few other very effective natural ways to manage symptoms of seasonal affective disorder. You may not want to hear it, but changing your diet can definitely help with some symptoms associated with SAD. Seasonal Affective Disorder is sometimes triggered because of key nutrients that are missing in your diet. By adding foods that contain antioxidants and anti-inflammatories, you may start feeling better. The dietary changes are for depression in general, not just for SAD itself. One of the more important nutrients to add to your diet, whether by taking a supplement or looking for natural food sources, is fish oil. This comes from Omega-3 fatty acids, such as with olive oil, salmon, and tuna. If you can’t get enough Omega-3 fatty acids in your diet, then you may want to try supplements. If you decide to take a fish oil supplement, aim for 1,000mg a day or more. Dr. Tobias Omega 3 Fish Oil Triple Strength is a best-selling Omega-3 Fish Oil on Amazon, earning 4.5 to 5 stars by over 11,500 users. Another nutrient that can be a good natural remedy for symptoms of SAD is a B vitamin. B vitamins can also come from natural food sources, such as whole grains, fruits, and vegetables. If these aren’t a part of your regular diet, you might do better with a supplement just to make sure you are getting enough. B6 is one of the best B vitamins for conditions causing seasonal affective disorder symptoms that resemble depression. There are two devices that are often used for seasonal affective disorder: light lamps and light boxes. It used to be that you needed to use light boxes in order to get sufficient light in your home when you suffered from SAD, but now there are quite a few new light lamps that work just as well. There are a lot of factors to consider when choosing which light therapy device will work best for you. No matter what type of light lamp or light box you choose, you want to make sure it provides some basic features to help with SAD. First of all, you don’t want it to emit a lot of UV light as that can be damaging. However, you do want it to have about 10,000 lux of light or more when you turn it on. Most light therapy lamps will have these basic features, but some have a few additional features that make them super effective. One such lamp is the HappyLight Compact Personal, Portable Light Therapy Energy Lamp by Verilux. Over 3,400 users have reviewed the NatureBright SunTouch Plus Light and Ion Therapy Lamp favorably on Amazon. Read my Review of the SunTouch Plus Light and Ion Therapy Lamp by NatureBright or click the link below to go directly to Amazon to purchase the SunTouch Plus Therapy Lamp. When you get a light therapy lamp, you should try to use it as early as possible. Don’t wait until you are already starting to feel sad, blue, or depressed from the dark days and gloomy weather. You should start using the light box or light lamp within the first hour or two after you wake up in the morning. You want to use it for up to 30 minutes, then turn it off. Make sure the lamp isn’t directly in front of you. You should keep it about 24 inches away from your face, but not too far or it won’t work as well for you. When you have the light turned on in the morning, you should keep your eyes open, but not looking directly at the lamp the entire time. Try to find a lamp that is labeled to be helpful for SAD or one that your doctor has recommended for this condition specifically. This type will work better than generic light therapy lamps. While the light should not be bright enough to cause blindness, you should still refrain from looking directly at it. Need light therapy on the go? Check out the Luminette 2 – SAD Bright Light Therapy Glasses. They are as effective as 10,000 lux white light and from user-feedback, they are very effective for managing SAD symptoms while you are out and about. It is a good idea to practice self-care during the winter season in order to start preparing for seasonal affective disorder. 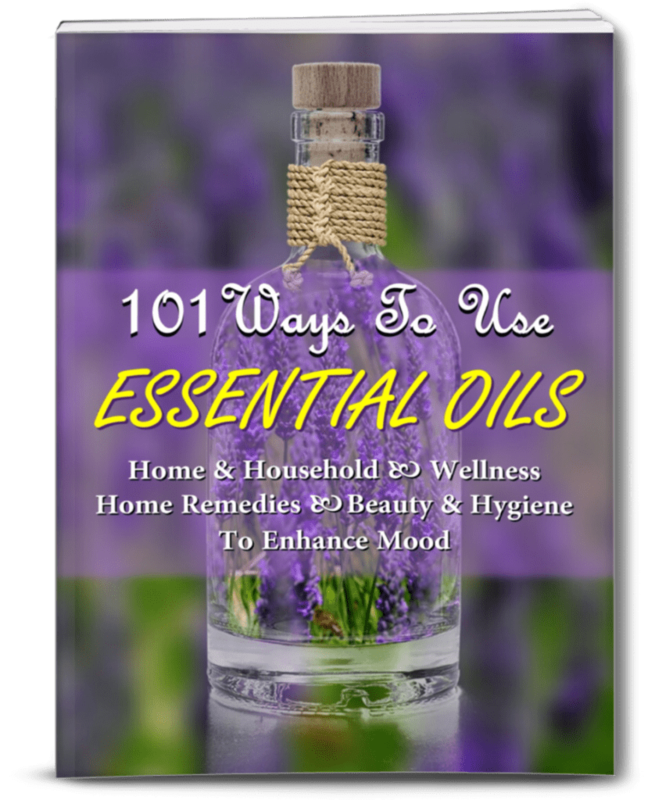 This will either help you to prevent SAD or can help you reduce the severity of your symptoms and aid in treating it naturally. Here are some different ways to practice self-care during the winter season. Since exercise is so helpful for SAD, it is good to try and be as active as you possibly can. This means constantly moving during the winter season, whether you are meeting up with friends, heading to the gym, or going for a walk. Try to keep moving and keep your blood pumping, as that can be really helpful when you are trying to prevent SAD from occurring. Part 3 in this series focuses on the importance of staying active to manage this condition – Exercise Your Way Out Of Seasonal Affective Disorder. If you insist on remaining inside your home just because of the temperature or weather outside, you are going to feel a lot worse. It isn’t easy to leave the warm comfort of your home, but it is necessary if you are susceptible to seasonal affective disorder. Try to find places to go or people to see where you are not spending more time at home than is really necessary. This is a really good time to focus on being healthier and eating as many nutrients as you can. The foods you eat do make a difference in your depression and how you feel overall. Switch to fruits, veggies, nuts, seeds, legumes, lean protein, and whole grains. 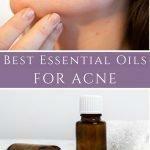 Just by doing this, you will start feeling a lot better and might even prevent the onset of SAD symptoms. In order to try and avoid SAD, or at least reduce the symptoms from the depressive condition, you should try to see the positive things about winter. You already know that winter brings along a lot of doom and gloom because of how dark and cold it is, but not everything needs to be bad! Try to focus on the good things about winter, such as the beauty of freshly-fallen snow, being able to cuddle up with your family in front of the fire, and making baked goods. Indulge in sweets and treats, spend quality time with your family, and enjoy the holiday festivities. 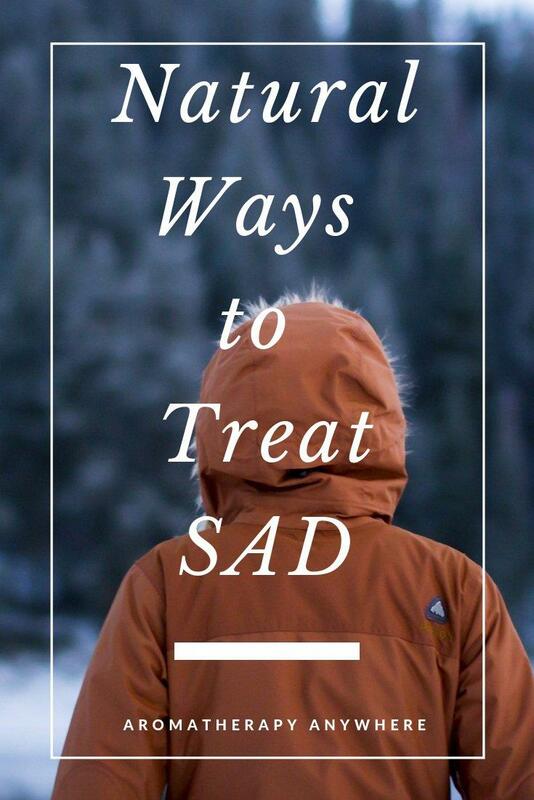 By understanding what SAD is and how to recognize the symptoms, you will be able to treat it properly. Remember to speak to a doctor for a confirmed diagnosis before you start any self-treatment. 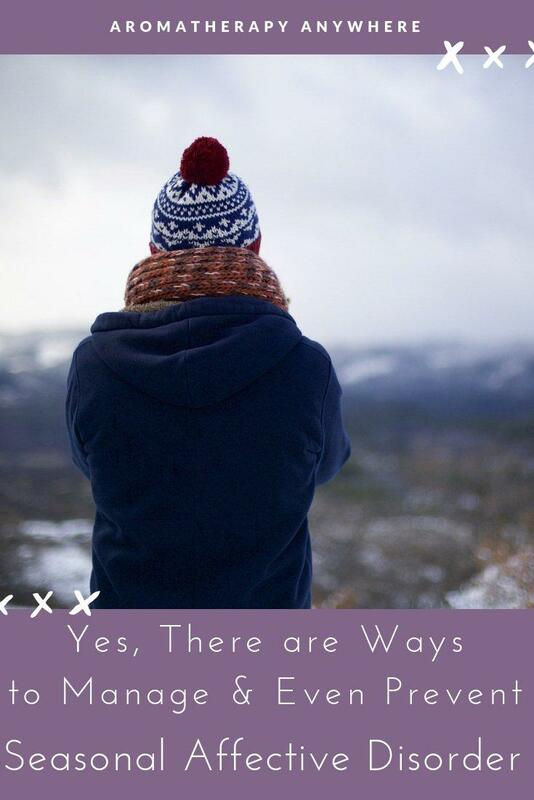 For more in-depth information on SAD, I highly recommend reading Winter Blues, Fourth Edition: Everything You Need to Know to Beat Seasonal Affective Disorder. 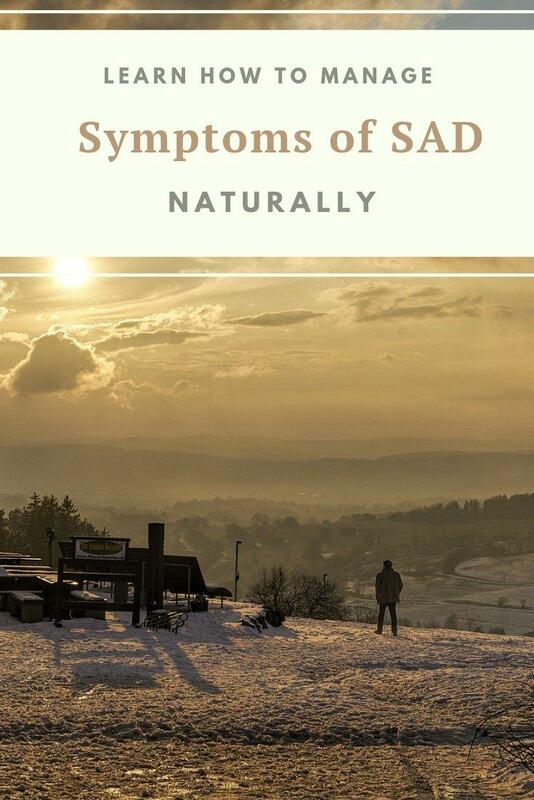 Written by a Clinical Professor of Psychiatry, this book goes into great detail on what causes seasonal affective disorder and powerful yet easy ways that you can manage and even prevent the symptoms.